IB Security Assistant Cutoff Marks 2019: Intelligence Bureau (IB) Security Assistant Executive Cut Off Marks was important to estimate the IB Assistant Executive examination for the 2018 year, the IB Cutoff MArks will help, the understanding of the level of examination and level of competition process for Assistant Executive Posts, Those who are preparing for IB Vacancy Posts, can verify the IB Previous year Cutoff Marks. 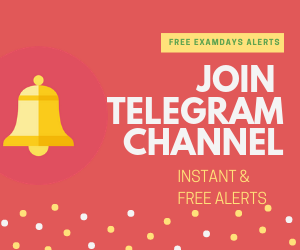 The examination was completed on 17.02.2019, those have appeared examination today, can check the possible cutoff marks for Security Assistant Post. The complete cutoff marks are given as per the year wise and expected cutoff marks. There will be negative marks for wrong answers. For Candidates convenience purpose, the three levels of Cutoff marks are given in below in tabular forms, candidates must and should note down these cutoff marks next upcoming examinations and it will help you to understand the level of question paper from IB Officials. The IB 2018 Cutoff Marks were given below as a category wise selections, these mark will help to understand the level of competition and examination from previous years onwards. The level of examination is medium to the difficulty level. 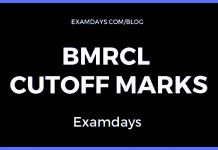 IB 2014 Mains Cutoff Marks: The IB Cutoff marks for the main examination for 50 marks, candidates have checked the mains marks as per IB guidelines. How many right answers you attempted out of 100? 2017 Prelims Examination, which conducted for 100 marks according to the category wise, and same cutoff will be higher in OC Category versus and ST Category. 2017 Mains Examination, which conducted for 50 marks according to the category wise, and same cutoff will be higher in OC Category versus and ST Category. I got 35 marks.UR.female.TN.Is there any chance?